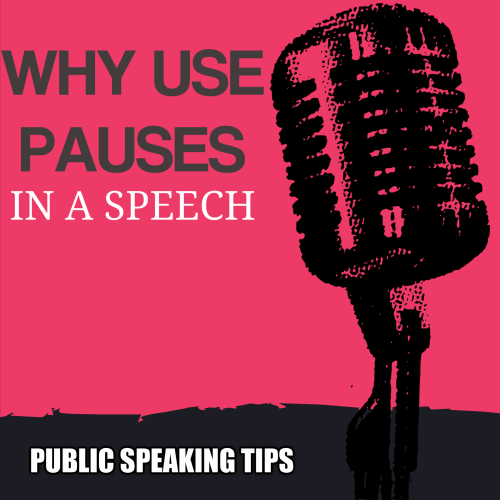 Why Use Pauses In Your Speech? Why use pauses in your speech? It’s a question that we are asked all the time. What makes a good public speaker really stand out? It isn’t really just a matter of confidence, rhetorical skills or a good speech writer. Though they are very important! It’s delivering a speech that really counts. Therefore here are pointers to help you with the pauses in your speech. With some good solid speech practice and preparation before your event, you can aim to get your pausing strategy sorted. Practice and rehearsal will always help. So try not to speak too fast as your practise. And finally, do remember to keep your word count under control.